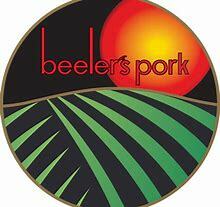 Beeler’s Pork raises a Danish Duroc, or “red” pig that is sure to deliver a memorable dining experience. If there are any fresh or frozen seafood items that we can source for your business please contact us at Here or call 425-481-5100. Thanks! Due to a surplus on the following items we are currently offering them at a discounted price while supplies last! Please contact your sales rep or email Jordan@ECWilsonMeat.com if you're interested in anything on the list below! EC Wilson is excited to announce increased offerings on responsibly sourced seafood! For more details and a complete list of new products and pricing please contact our sales team at 425-481-5100 or info@ECWilsonMeat.com. We look forward to hearing from you.